The term ‘Docear’ has two meanings. First, Docear is an allusion to “dog-ear”, the folded down corner of a paper page. Second, “docear” in Latin means “I may be taught”. Start enjoying 2013 with the Essentials apps collection for your Windows Phone 7 and 8.
via Essential apps and games for a new Windows Phone. I only had two missing apps to be completely satisfied with my Windows Phone 7, Skype and EverNote (there are still a lot of missing features that Mango, the upcoming update, will mostly provide). Skype has already been announced and will be available (probably with the Mango update) in Autumn and now EverNote released their first version for WP7. A simple but very useful EverNote client that can handle my basic needs. Not bad at all. Detailed functionality here: Evernote for Windows Phone 7 Is Here! « Evernote Blogcast. 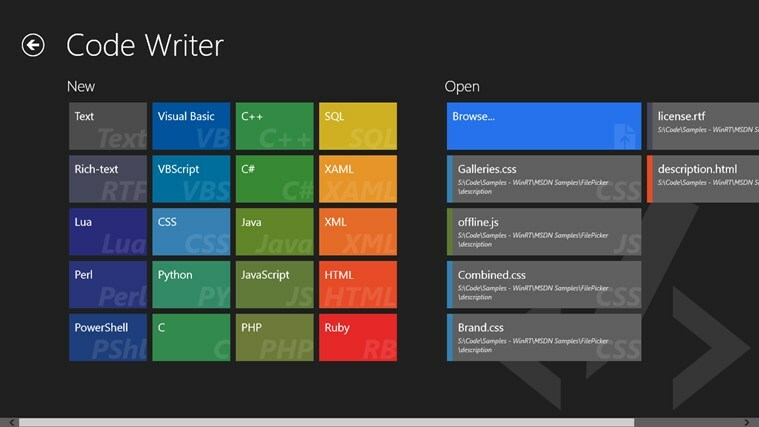 As WP7 developers, we are spoiled. Not only do we have a powerful, mature and rich IDE in Visual Studio, with great plugins such as Resharper, but we also get a fast emulator, and also a complete, standalone design tool in Expression Blend. The emulator actually runs as a proper Virtual Machine, using the hardware virtualization features of your computer. The upside to this is that you get snappy performance, but the downside is that you cannot develop inside a virtual machine, since the emulator will not run inside a virtual machine. Blend lets you design, animate and tweak your app’s UI. Although it was primarily created as a “high-end” tool for designers, there was such an outcry from developers, that Microsoft have made it available for free for WP7 developers. It is a joy to work with, letting you focus on the look and feel of your UI, building storyboards and animations, without worrying about code. The existence of a strong community around WP7 development is far from unique to WP7, however perhaps because Windows Phone is something of an underdog right now, the community feels particularly tight. Beyond the usual suspects such as Stack Overflow, and Microsoft’s own forum, there are sites such as Windows Phone Geek that provide a constant stream of high quality tips and tricks and articles.